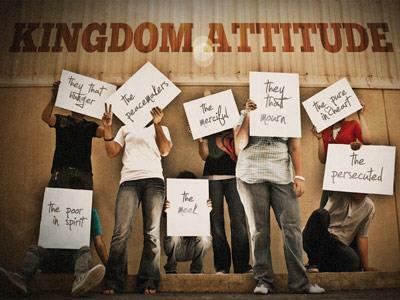 Summary: Our attitudes say more about our relationship with Christ to the world than just about anything. What word describes what will determine our happiness, acceptance, peace and success? We live in an angry world, surrounded by angry people. We can give all kinds of excuses for being an angry person, but none of them really make an angry attitude the only option. I went out to visit our friend Bruce Thursday. If you remember he had surgery for a brain tumor 6 months ago, and they couldn’t get it all. They gave him 3 days to 3 weeks to live. .....He said, I’m not going to feel sorry for myself, and I don’t want anyone else to either. If you are going to come out to feel sorry for me don’t come. I’m going to be here until the Good Lord says its time, and then I’ll be gone. If I can help someone else going through this I’ll be glad to. I’ve shared in church, and I’ll probably share again before its all over. He is Living with uncertainty. He admitted he didn’t have this attitude in the beginning, and I know I was there. At first he was angry at God for not letting him die quickly. But he allowed God to change his attitude. That is the good news I want you to get today. No matter how bad your attitude was when you came in here, you and God can change it. Our expressions usually reflect our inward feelings. Life is 10% of what happens to you and 90% your reaction to it. 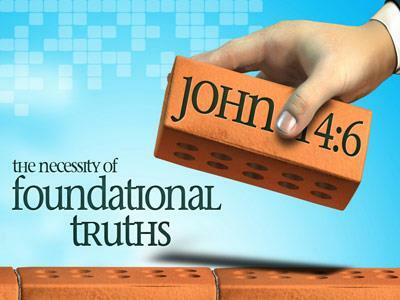 1 Is there any encouragement from belonging to Christ? Any comfort from his love? Any fellowship together in the Spirit? Are your hearts tender and sympathetic? 2 Then make me truly happy by agreeing wholeheartedly with each other, loving one another, and working together with one heart and purpose. 3 Don’t be selfish; don’t live to make a good impression on others. Be humble, thinking of others as better than yourself. 4 Don’t think only about your own affairs, but be interested in others, too, and what they are doing. 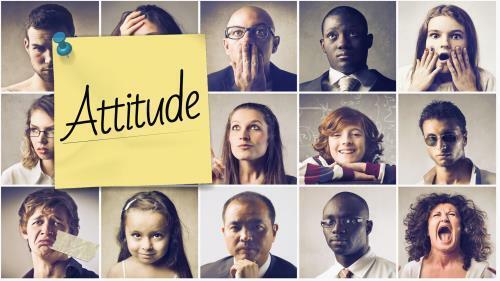 5 Your attitude should be the same that Christ Jesus had. 6 Though he was God, he did not demand and cling to his rights as God. 7 He made himself nothing; he took the humble position of a slave and appeared in human form. 8 And in human form he obediently humbled himself even further by dying a criminal’s death on a cross. Magic Johnson p634 Nelsons complete book of ills. During the medal ceremony, the Armenian-born Abrahamian—who also lost a 2004 Olympic semifinal match on a disputed call—took the bronze from around his neck and, angrily, dropped it on the mat as he walked away. He did not take part in the rest of the medal ceremony. COLUMBUS (AP) - Marcus Freeman doesn’t mind staying in the background while All-American James Laurinaitis gets all the attention. Freeman and the third starting linebacker, Ross Homan, along with Spitler, might be stars at another Top 25 program. But at Ohio State, they’re just considered bit players to the megastar who wears No. 33. Laurinaitis recognizes the problem he creates. "Marcus is a terrific player," Laurinaitis said. "His physical abilities are unbelievable. He has great leadership, he obviously is explosive, he’s fast, he’s unbelievably strong. "He just does his job silently." Our attitudes say more about our relationship with Christ to the world than just about anything.